Are you feeling the holiday rush…that crush to get everything done with only a few weeks left until Christmas? If your turkey was not even fully digested before you started thinking about everything on your holiday to-do list, you are not alone. From shopping to addressing and mailing holiday cards to decorating and more, the holiday season can be stressful. So what do you do to deal with all that stress? Book a massage? Go to a yoga class? How about scheduling a dental cleaning? If your dental cleanings are not a relaxing and rejuvenating experience, you are going to the wrong dental practice! Today, many practices like Pure Dental Health make getting your teeth cleaned a spa-like experience. With valet parking, warm scented towels, soothing music and a beverage bar, you will come out feeling like a new person! This makes getting your teeth cleaned the perfect solution to holiday stress. You will not only come out feeling more relaxed but will also look better and improve your dental health. If you have a special holiday event to attend, why not schedule your dental cleaning on the same day? That way, you can show up to your party with a cleaner, whiter, brighter smile. If you really want to see a difference in your smile, you can pick up a teeth whitening kit while you are visiting the dentist. The holidays are no time to ignore your dental health. In fact, taking care of your dental health is a great gift that you can give yourself this year. If you have missed a scheduled cleaning, schedule an appointment today. Then you can sit back, relax and enjoy! We wish you a very happy and healthy holiday season! For most Americans, Thanksgiving represents a special time to gather with friends and family and to express thanks for our many blessings. A huge Thanksgiving feast of turkey, dressing, cranberry sauce and sweet potato casserole is also part of the Thanksgiving tradition for many families. This is the time when we set our tables with our best linens and china, turn off our cell phones and other electronics, and enjoy a long, relaxing meal around the table. However, if you are dealing with ill-fitting, loose or uncomfortable dentures, Thanksgiving dinner may not be all that enjoyable to you. Dentures that slip or fall out easily can make it very difficult to enjoy a meal, especially when the meal involves a group. Even if it is with your family members, the last thing you want is for your dentures to fall into your dinner plate! In addition, loose or uncomfortable dentures can make it difficult to chew and properly digest certain foods. If you notice that your dentures have recently become loose, ill-fitting or uncomfortable, it could be due to changes with the bone in your jaw. When pressure is not exerted on the jawbone on a regular basis, it can cause bone loss. This in turn can make dentures that at one time fit well, not fit well anymore. It is a vicious cycle. You can break the cycle of ill-fitting dentures with dental implants. Dental implants are a revolutionary tooth replacement solution that provide for replacement teeth that look, function and feel like natural teeth. There a a variety of tooth replacement options that can be used with dental implants including dental-implant-supported crowns, bridges and dentures. If you are tired of worrying about your dentures slipping or falling out or if your dentures have become uncomfortable, talk to your dentist today about dental implants. After a thorough evaluation, your dentist can determine if you are a candidate for this life-changing dental procedure. Have You Ever Dreamed That Your Teeth Are Falling Out? You wake up in a sweat and your heart is racing. You run to the mirror and check to make sure you have all of your teeth. Does this sound familiar? If you have ever dreamed that your teeth are falling out, you are not alone. Missing teeth or teeth that are falling out is one of the most common types of recurring dreams. Psychologists suggest a number of theories behind this dream. Some say that it means you are worried about money. Others suggest a feeling of vulnerability or a lack of control over your circumstances. Whatever the cause, this dream can be terrifying! Unfortunately, for many American adults, failing and missing teeth are a reality. Tooth failure and tooth loss can be caused by a variety of factors including lack of proper dental hygiene/dental care, periodontal disease, trauma, untreated tooth decay and more. In the past, options for replacing missing teeth were limited to dentures (partial and full) and dental bridges. These tooth replacement options are still popular procedures for replacing missing teeth. However, neither of these solutions provide a permanent, fixed solution to tooth loss. Now with the advent of dental implants, individuals with tooth loss have a fixed solution that can last a lifetime, with proper care. This is good news for the many American adults who are missing one, several or all of their teeth. Dental implants look like natural teeth and because they are fused to the jawbone, they feel and function like natural teeth. These factors represent significant advantages over traditional dentures and dental bridges. Most individuals are candidates for dental implants, and the success rate is very high. However, if you are a smoker or have other conditions such as Diabetes, your chances for a successful outcome may be reduced. Additionally, if you do not have a sufficient quantity of bone in your jaw, you may require bone grafting before dental implants can be successfully placed. If you are living with the reality of tooth loss, talk to a dentist in your local area today. After a thorough evaluation, your dentist can determine if you are a candidate for this revolutionary tooth replacement system. Acid Reflux refers to the backward flow of stomach acid into the esophagus (the tube that connects the throat to the stomach). When acid reflux progresses to a more severe form of acid reflux, it is referred to as GERD (gastroesophageal reflux disease). When this occurs, it can have a negative affect on your dental health. Acid Reflux and GERD are common problems that affect approximately 7 million Americans. Acid Reflux and GERD can cause symptoms such as heartburn and upset stomach. If it is not treated properly, it can also wreak havoc on your dental health. This is because constant exposure to stomach acid can erode and weaken the outer layer of your teeth, leaving your teeth more susceptible to decay. Prolonged exposure to stomach acid can also lead to tooth sensitivity. So, if you have acid reflux or GERD, there are steps you can take to protect your dental health? The first step you should take is to visit your doctor to seek treatment for your acid reflux. Keeping your acid reflux in check can serve to protect your teeth from exposure to stomach acids. If you still experience symptoms even with treatment, you should rinse your mouth thoroughly with water or brush your teeth immediately after experiencing acid reflux. The next thing you can do is visit your dentist every six months for professional cleanings and checkups. During this examination, your dentist can check for signs of tooth decay and provide treatment, if needed. Detecting and treating tooth decay in its earliest stages is the best way to prevent tooth failure and eventual tooth loss. If you have further questions regarding acid reflux, GERD and your dental health, talk to your dentist today. Your dentist can give you important advice on how to manage your condition and keep it from negatively affecting your dental health. If you are living with Diabetes, you are predisposed to a number of dental health problems. For this reason, practicing good daily oral hygiene and getting regular care from a dentist is vitally important. There are currently 26 million people in the United States who are living with some type of Diabetes. Ninety to ninety-five percent of these cases of Diabetes are Diabetes Type II. So what is the link between Diabetes and your dental health? Diabetes impairs your ability to fight bacteria in your mouth. Having high blood sugar encourages harmful bacteria to grow and this harmful bacteria can cause periodontal (gum) disease. Periodontal disease is a chronic infection of the gums and tissues supporting your teeth. If it is left untreated, it can lead to tooth loss. High sugar levels in the blood can also lead to dry mouth and this condition also puts you at a higher risk for developing gum disease. If you have Diabetes, the best thing you can do to protect your dental health is to control your blood sugar. This can be achieved by checking your blood sugar levels often, taking any medications prescribed to you by your doctor, eating a diet that is recommended by your doctor and exercising regularly. The second thing you can do to protect your longterm dental health is to visit your dentist regularly for dental cleanings and exams. 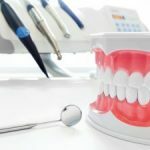 During this time, a dental hygienist can use special tools and techniques to remove plaque and tartar from your teeth and gums. Your dental examination will also give your dentist the opportunity to look for any signs of periodontal disease and if necessary, to provide treatment for this serious condition. The third thing you can do is practice good daily oral hygiene at home including thoroughly brushing your teeth at least twice a day and thoroughly flossing your teeth at least once a day. If you would like to get more information regarding Diabetes and your dental health, talk to your dentist. If you have Diabetes and have not been to a dentist in more than six months, schedule your appointment today! Tobacco, whether it is smoked or chewed can have lasting negative effects on your oral health. At best, it can cause severe tooth discoloration that is hard to treat. At worst, it can cause oral cancer, an extremely aggressive and often deadly type of cancer that forms on the mouth or throat. Smoking tobacco (cigarettes) can also make you more susceptible to periodontal (gum) disease and eventually tooth loss. It can be very difficult to remove tobacco stains from your teeth using traditional methods of bleaching/teeth whitening such as over-the-counter treatments, professional take-home whitening kits (purchased from a dentist) and professional in-office whitening treatments. Therefore, individuals with tobacco-stained teeth are many times forced to consider more expensive options such as bonding and porcelain veneers. The facts related to oral cancer are very sobering. According to statistics posted on the Oral Cancer Foundation website, “close to 43,250 Americans will be diagnosed with oral or pharyngeal cancer this year. It will cause over 8,000 deaths, killing roughly 1 person per hour, 24 hours per day. Of those 43,250 newly diagnosed individuals, only slightly more than half will be alive in 5 years. (Approximately 57%) This is a number which has not significantly improved in decades.” This highlights the importance of getting regular oral cancer screenings from your dentist. Most dentists will screen for oral cancer on a regular basis. If you smoke, your dentist may recommend more frequent oral cancers screenings for you. Early detection is one of the best ways to fight this serious disease. Both current and former smokers have an increased risk for developing periodontal disease and are at risk for developing more severe periodontal disease than people who have never smoked. This is because smoking causes systemic immuno-suppression and impairment of soft tissue and bone cell function. If you are a current smoker or you smoked in the past, it is vitally important for you to get regular dental checkups so your dentist can check for signs of periodontal disease such as red, swollen or bleeding gums and gums that are receding. This will enable your dentist to detect and treat gum disease when it is in the earlier stages. Early detection and treatment will help to prevent the tooth and bone loss that can occur with late-stage, untreated periodontal disease. If you are a current smoker and are concerned about your dental health, schedule an appointment with your dentist today. If you would like to quit smoking or using tobacco products, it is a good idea to talk to your physician. Your doctor can help you find the resources you need to break this habit. Acute Tooth Pain: Is it an Abscessed Tooth? If you have excruciating pain in one of your teeth, you could be dealing with an abscessed tooth. An abscessed tooth is a painful condition that is caused by an infection at the root of a tooth or between the gum and a tooth. The most common cause of an abscessed tooth is severe decay. However, an abscessed tooth can also result from trauma to a tooth or gum disease. Severe decay and tooth trauma such as a chipped or broken tooth can cause openings in a tooth’s enamel which allows bacteria to infect the center of a tooth (pulp). This infection can also spread from the pulp to the root of the tooth and/or the surrounding bones and structure. Symptoms of an abscessed tooth include severe, throbbing, and/or shooting pain in the area of the mouth where the abscess is located. Other symptoms include fever, pain when chewing, sensitivity to hot and cold, bad breath, swollen neck glands, redness and swelling of the gums, an open, draining sore on the side of the gum and more. If you think you may have an abscessed tooth, you should notify your dentist immediately, even if it is after traditional dentist office hours. Many dental practices have a dentist that is on call to handle dental emergencies such as abscessed teeth. To eliminate the infection, the abscess may need to be drained. This can be achieved with a procedure called a root canal. After a root canal procedure, the center of the tooth is this cleaned and sealed to prevent further infection. In some cases of an abscessed tooth, the tooth is extracted, allowing drainage through the socket. A third way to drain an abscess is to make an incision into the swollen gum tissue. In most cases, antibiotics are prescribed to help fight off the infection. Non-steroidal anti-inflammatory medications such as Motrin and Alleve may be used to alleviate the pain. Your dentist may also recommend that you rinse your mouth with warm salty water. Failing to seek treatment for an abscessed tooth will only lead to more serious and more painful complications including tooth loss. If you have severe tooth pain and think it may be due to an abscessed tooth, schedule an appointment with your dentist today.